Cuba acelera la ejecución del proyecto minero-metalúrgico Castellanos, en la provincia occidental Pinar del Río, con una inversión de $278 millones, una de las mayores que acomete actualmente el país, informaron este domingo medios locales. 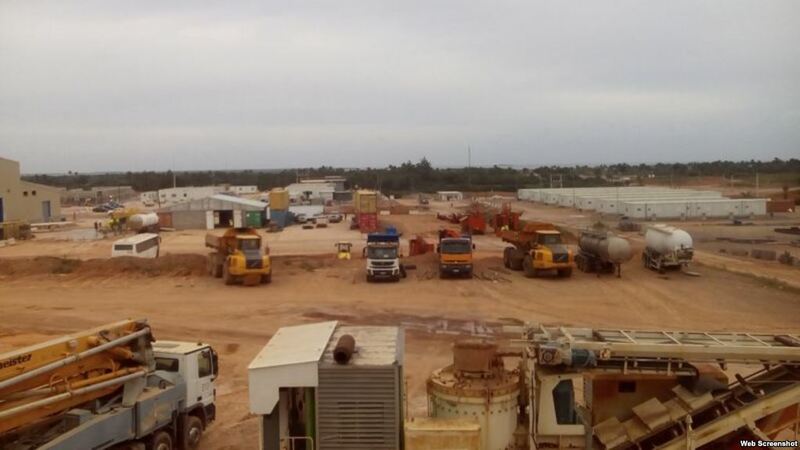 Las obras del proyecto deben concluir el próximo mes de julio, cuando se pondrá en marcha la planta que producirá unas 220 toneladas anuales de concentrados de plomo y zinc, destinadas a la exportación, informó la emisora oficial Radio Reloj. El objetivo es la explotación del yacimiento Castellanos, un sitio en el que se extrajo oro entre los años 90 y principios de los 2000 y donde ahora se pretende explotar otros minerales. La Empresa Mixta Minera del Caribe (Emincar), encargada del proyecto, es fruto de la alianza en 2012 de la estatal cubana Geominera -que ostenta más de la mitad del capital- con una transnacional europea y una firma angoleña, cuyos nombres no se han dado a conocer. Los análisis del lugar indican que en yacimiento hay reservas para 11 años, periodo en el que el que su explotación aportará alrededor de un millón de toneladas, según directivos del Ministerio de Energía y Minas (Minem). Las primeras exportaciones de la compañía se prevén para octubre de 2017, aunque la plena producción de la planta se alcanzará en el primer trimestre de 2018. Las obras también incluyen la reparación del puerto de Santa Lucía, con el fin de utilizarlo para enviar la producción terminada por vía marítima hasta la terminal de contenedores de la Zona Especial de Desarrollo del puerto Mariel (ZEDM), desde donde se enviará al exterior. La reanimación de Santa Lucía, un poblado de tradición minera situado a unos 210 kilómetros al oeste de La Habana, supone además la generación de unos 1,000 empleos de manera directa e indirecta. Se estima que alrededor de 480 trabajadores asumirán las operaciones de la nueva industria y de ellos, una parte serán los mismos que participan en la etapa inversionista. La caída del precio de los metales y los altos costos de producción llevaron al cese completo de las actividades de explotación minera en Santa Lucía, entre los años noventa y principios de la década de los 2000, cuando más de 2,000 personas se quedaron sin trabajo. HAVANA, Cuba — For 30 years, generous oil subsidies from Moscow kept the lights on for Fidel Castro’s Cuban Revolution. Until the Soviet Union went kaput. Now, Russian state oil companies may be coming to Cuba’s rescue again. Oil industry journals reported this week that a Soviet-built, Norwegian-owned drilling platform is headed for Cuban waters this summer, under contract with Moscow-based state company Zarubezhneft. 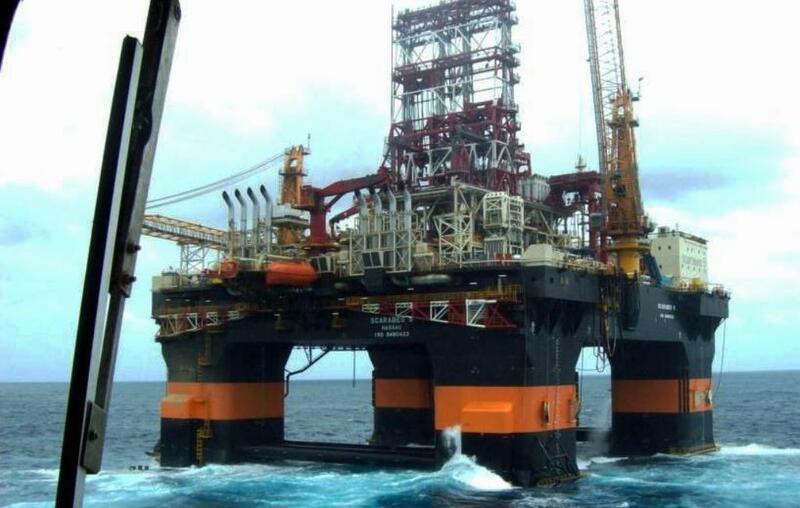 The company has hired the rig, called the Songa Mercur, at a cost of $88 million for nearly a year, with plans to begin drilling in November. That should be enough time to poke plenty of holes in search of Cuba’s elusive undersea oil fields, which are thought to hold billions of barrels of crude but have yet to yield a decent strike. The rig’s arrival couldn’t come at a better time for the Castro government and its state oil company, CubaPetroleo. The state firm has signed multiple contracts in recent years with foreign producers looking to drill in Cuban waters. Another drilling platform, the Scarabeo 9, has been working off the island’s north coast this year, but has come up dry, dealing a blow to Havana’s hopes for weaning the island off imported crude. Cuba currently gets about two-thirds of its fuel from socialist ally Hugo Chavez. But the Venezuelan president has been battling cancer and must campaign for re-election in October. The Scarabeo 9 has been Cuba’s best hope. The Chinese-built, Italian-owned rig arrived late last year, opening a gusher of anxieties in the US. Environmental groups and Florida tourism operators worried about damage from a potential spill. Anti-Castro lawmakers worried an oil strike would give the Cuban government a cash windfall. Repsol, the Spanish oil company that first hired the rig, was the subject of hearings on Capitol Hill, and the Obama administration made the unusual move of sending an inspection team to visit the platform when it stopped in Trinidad en route to Cuban waters. But the state-of-the-art Scarabeo 9 was made for the Cuba job — literally. It is the only rig in the world designed specifically to comply with US trade sanctions against Cuba, which limit the amount of US technology that can be used in Cuban territory to no more than 10 percent. So far the rig has come up empty in Cubans waters. Having spent more than $100 million for a dry well and a political headache, Repsol executives have announced they’re pulling out of Cuba. 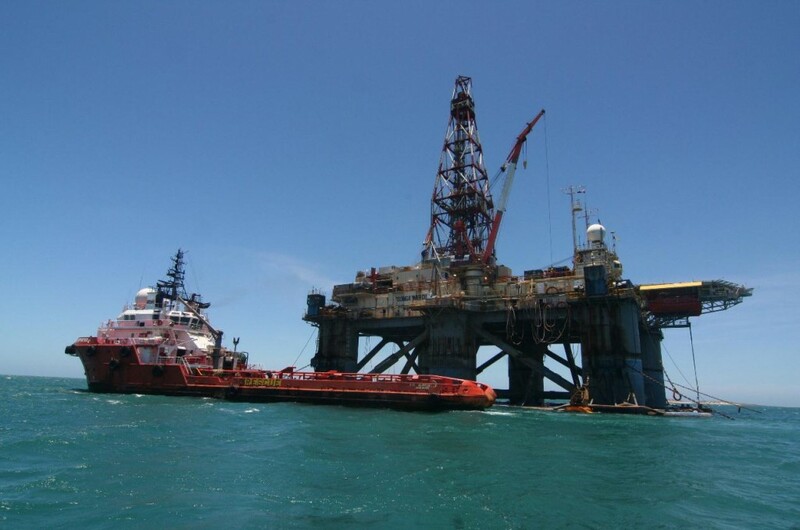 Scarabeo 9 is now in the hands of Russia’s Gazprom Neft, which is drilling in Cuban waters at another offshore location in partnership with Malaysia’s Petronas. Results may be announced as soon as next month. The Songa Mercur will be working much closer to shore. Built in 1989 at the Soviet Union’s Vybord Shipyards, its maximum drilling depth is just 1,200 feet of water, according to the rig’s specifications. 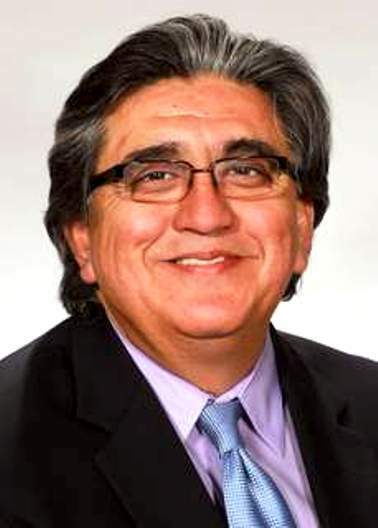 Jorge Piñon, an expert on Cuban oil exploration at the University of Texas, said the Songa Mercur was retrofitted and modernized in 2006 in Galveston, Texas, after it was purchased from a Mexican firm by Norway’s Songa Offshore SE. It’s currently working in Malaysia. Unlike the Scarabeo 9, the Songa Mercur is loaded with US technology, including five Caterpillar generators, General Electric mud pump motors, and cementing equipment made by Halliburton. That will likely leave Russian operator Zarubezhneft in violation of the US’ Cuba sanctions, Piñon said. Not that there’s much the US government can do about it. “This is a Russian state oil company, and they do not have US assets or interests to safeguard,” said Piñon, a former British Petroleum executive. “Do you think that Zarubezhneft is going to invite the US Coast Guard and the Interior Department to board (the Songa Mercur)?” he said. “How then is [the US] going to validate whether the Songa Mercur meets the embargo regulations?” The area where the platform will be drilling is off the coast of Cuba’s Ciego de Avila and Villa Clara provinces, and adjacent to an area that the Bahamas Petroleum Corporation is also looking to develop, Piñon added. A huge oil drilling platform will sink deepwater wells off Cuba next week in a move that has caused angst in the US at the prospect of significant oil discoveries that could alter Cuba’s economic future and Havana’s relations with Washington. Cuba’s largely unexplored share of the Gulf of Mexico is thought to contain billions of barrels of oil and gas equivalent and has already drawn more foreign investment than any other sector of the economy. “The discovery of even modest amounts of oil would be significant for Cuba,” said Ricardo Torres Perez, deputy director of Havana University’s Center for the Study of the Cuban Economy. A significant discovery would almost certainly buy time for President Raúl Castro, as he works to reform the Soviet-style economy. In addition to environmental worries – as the drilling would unfold about 70 miles from Florida’s coast – this possibility has prompted vehement criticism from some US conservatives. Ileana Ros-Lehtinen, who chairs the House foreign relations committee, has sought to introduce legislation that would place sanctions on participating foreign companies. “A state sponsor of terrorism is poised to achieve a tremendous economic boon by entering the oil business and endangering US waters to boot,” the Republican congresswoman said this month. “It is deeply disappointing that the Obama administration appears content to just watch that happen,” she added. Adding extra piquancy to the controversy is its timing: the Republican party’s Florida primary election take place on January 31. The $750m platform is owned by Italian oil giant Eni’s offshore unit Saipem and assembled in China using less than 10 per cent of US technology to accommodate sanctions that also bar US companies from participating. It is contracted for at least six months. A first consortium grouping Spain’s Repsol, Norway’s Norsk Hydro and India’s ONGC Videsh will drill two wells. A second consortium, made up of Malaysia’s Petronas and Russia’s Gazprom, will drill subsequent wells. Despite the sanctions, Washington has engaged both with these foreign companies and the Cuban government after the National Commission on the BP Deepwater Horizon Oil Spill and Offshore Drilling recommended such co-operation to protect “fisheries, coastal tourism and other valuable US natural resources”. US officials inspected the rig in Trinidad and Tobago this month before it left for Cuban waters, and in December held talks with Cuba, Mexico and the Bahamas in Nassau on emergency planning in the gulf. A second round of talks is scheduled for February. Experts are divided on whether significant oil discoveries would spur or slow Cuban economic reforms. 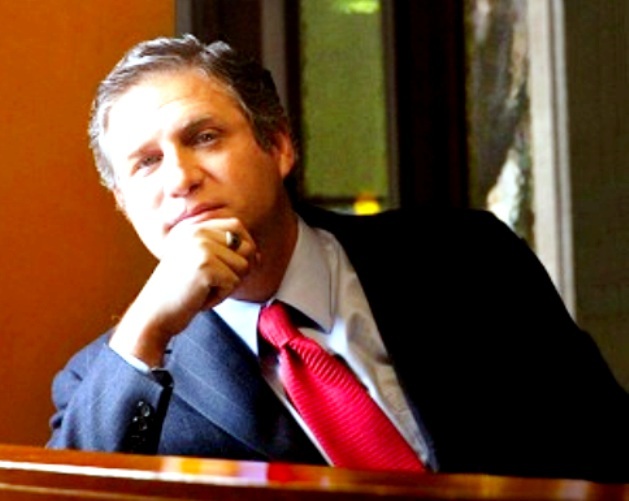 “With or without oil, the Cuban economy sorely needs an environment in which businesses and individuals feel confident to invest,” said Arturo Lopez-Levy, a Cuban academic at the University of Denver. But most agree the prospect has brought Havana and Washington closer as they look to safeguard their mutual economic and environmental interests. 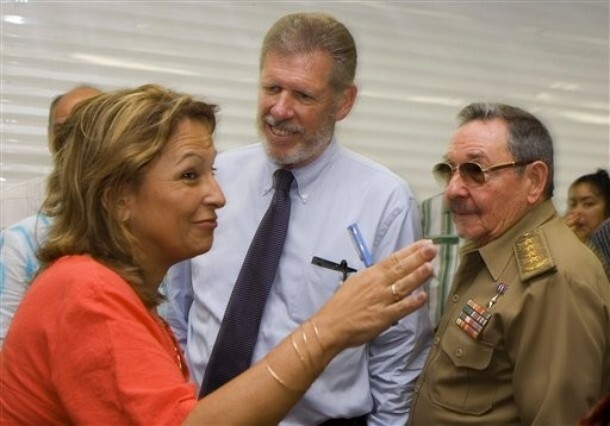 “The meeting between US and Cuban officials on environmental co-operation … is an example of new bridges of communication, which if it wasn’t for oil and gas development would not have happened,” said Jorge Piñón, former president of Amoco Corporate Development Company Latin America and now a research fellow at Florida International University. Just as “ping-pong diplomacy brought the US and China together, oil might very well bring Cuba and the US together”. Ian Delaney, CEO of Sherritt International is retiring, but will remain active as Chairman of the board. Delaney’s visionary linking of Cuba’s nickel concentrate production with Sherritt’s unused refinery in Fort Saskatchewan Alberta has been of immense benefit to both Cuba and Sherritt. A fact not widely known inside or outside Cuba is that the Government of Cuba is now a foreign investor in Canada as joint owner of the Refinery in Alberta. The long-time chief executive of Sherritt International Corp., who transformed the company by flying in the face of conventional wisdom and betting big on Cuba, is retiring at the end of the year. Ian Delaney, who turned 68 last month, will remain chairman of the Toronto-based miner while Sherritt’s chief financial officer, David Pathe, will replace him as CEO on Jan. 1. Delaney took over the struggling company — then Sherritt Gordon — in 1990 after winning a proxy battle with the help of Eric Sprott, then-president of Sprott Securities, and Bruce Walter of Delaney Walter & Co. But it was his defiance of the U.S. trade embargo and investment in the Moa joint venture in Cuba that helped Delaney, a former investment banker with a reputation as “the Smiling Barracuda of Bay Street,” make his mark. Delaney, who was Sherritt’s CEO for much of the last two decades, was often called Fidel Castro’s favourite capitalist. 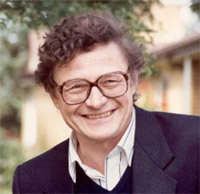 His deal with the Cuban dictator provided the communist country with hundreds of millions of dollars in badly needed foreign exchange in return for mining rights that turned Sherritt into a diversified resources company. Raymond Goldie, senior mining analyst at Salman Partners, said Delaney once pronounced that he wanted to turn Sherritt into the “Canadian Pacific of Cuba,” referring the Canadian railway that once owned coal mines, hotels, ships, and oil and gas assets before it spun them all off. “He bet big on Cuba,” said Goldie, who noted Sherritt would later sell its hotel, mobile phone and other non-core investments in Cuba. When Delaney took over Sherritt the company was floundering. It had a nickel refinery in Fort Saskatchewan, Alta., but nothing to refine. “Sherritt had a smelter refinery all dressed up and nothing to feed into it,” Goldie said. So Delaney turned to Cuba for supply, a move that Goldie said the company had considered before, but rejected because of the risks involved with angering the United States. The company’s investment in 1994 would eventually lead to Delaney and his family, as well as several top executives, being blacklisted by the U.S. State Department and barred from visiting the United States. “He was brave enough to say ‘I’m never going to set foot in the United States again,'” Goldie said. While the deal turned Sherritt into a major player in Cuba, it also made him an enemy of some U.S. politicians. “Ian Delaney has made a deal with the devil,” like those who “did business with Hitler’s Germany or Stalin’s Russia,” Marc Thiessen, an aide to Senate Foreign Relations Committee chairman Jesse Helms, was quoted as saying at the time. Helms, the ultra-conservative Republican Senator from North Carolina, was the co-author of the Helms-Burton Act, which tightened U.S. sanctions against foreigners who invest in Cuba. But Delaney thumbed his nose at the insults and in 1996 Sherritt became the first foreign capitalist company to hold a board meeting in Cuba since Castro’s revolution in 1959. Archibald Ritter, a Carleton University economics professor and expert on Cuba, said Sherritt has been a driving force in the modernization of the Cuban resource sector. “It has been mutually beneficial,” he said. Ritter said Cuba had been relying on old Soviet-era technology, but Sherritt changed all of that with modern technology for mining and drilling for oil that boosted exports and increased production for the country. Nearly two decades after its initial investment, Sherritt’s Moa joint venture produced 33,972 tonnes of nickel and 3,706 tonnes of cobalt in 2010. The company also owns oil and gas operations in Cuba as well as a stake in power utility Energas, which has power plants across the country with a combined capacity of 356 megawatts. Since the Cuban deal, Sherritt has also cashed in on the global commodities boom of the last decade, also betting heavily on coal, expanding its operations in Canada beyond nickel and other metals. In 2001, Delaney partnered with the Ontario Teachers’ Pension Plan and acquired the Luscar coal business in Alberta that supplies fuel to coal-fired power plants in Alberta and Saskatchewan. More recently, though, Sherritt has faced difficulties. Its shares (TSX:S) were unchanged in trading Thursday at $5.09, but down from their peak of more than $17 in 2007 during the commodities boom. In 2009, Sherritt saw an oil production-sharing contract between the Cuban government and Sherritt’s partner Pebercan Inc. (TSX:PBC) scrapped nearly 10 years early after months of efforts to have the Cuban government catch up on missed payments to the company. Earlier this year, Sherritt extended its work schedule and increased estimated costs for its Ambatovy project in Madagascar. It cited a litany of problems including poor performance by contractors and inaccurate estimates on the project in the island country off the east coast of Africa. The company has said the capital cost of the project will come in at US$5.5 billion, about 16 per cent more than it had previously predicted. In the quarter ended Sept. 30, Sherritt more than doubled its profits to $45.5 million or 16 cents a share. That was up from $22.5 million or seven cents a year ago. Revenues rose to $466.4 million from $412.7 million. Besides its nickel and cobalt operations, the company is the largest producer of thermal coal in Canada. It also is the largest independent energy producer in Cuba, with extensive oil and power operations across the island. Sherritt, which has more than 6,800 employees and a stock market value of more than $1.5 billion, also licenses its nickel mining technology to other metals companies. Does Sherritt International Have a Future in Cuba? The joint venture between Sherritt International and Cuba is a cooperative masterpiece that generates great benefits for both parties. However, when looked at from the perspective of transportation costs – shipping nickel/cobalt concentrate from Cuba to Fort Saskatchewan Alberta – together with the “Helms-Burton” status of the mine, some questions occur as to its long term viability. The Moa mine was initially constructed by US interests – the Moa Bay Mining Company and expropriated by the government of Cuba in August, 1960. The US Foreign Claims Settlement Commission valued the company at $88,349,000 at the time of the take-over. Sherritt’s connection with Cuba began in 1991 with purchases of Cuban nickel concentrate for its Alberta refinery. Sherritt had had insufficient volumes of concentrate for many years and in 1990 a refining contract with INCO expired. In 1994, Sherritt International and the Compania General de Niquel of Cuba established a 50/50 joint venture, which now owns the Moa extraction, processing, and smelting operation, the Alberta refinery and the international marketing enterprise. 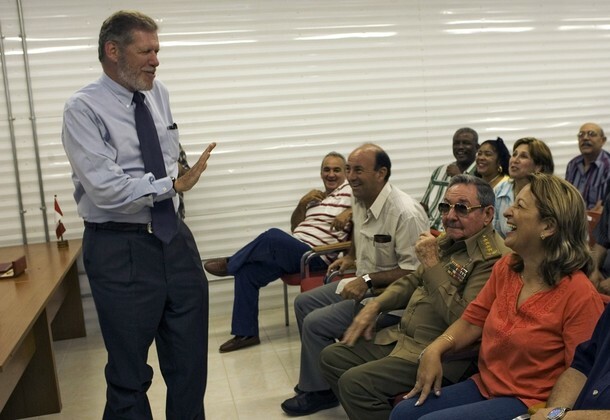 The President of the company, Ian Delaney, also negotiated agreements with the Cuban Government, permitting Sherritt to enter other sectors of the economy, including electric energy, oil and gas, agriculture, tourism, transportation, communications, and real estate. By 2000, Sherritt International had become a major diversified conglomerate in Cuba. Sherritt International CEO Ian Delaney and President Raul Castro appreciate a comment. In this deal, the Cuban Government became and is currently a foreign investor in Canada, as the Compania General de Niquel owns 50% of the nickel refinery, a fact not well known in either Cuba or Canada. The linking of the Moa nickel deposit and part of Cuba’s processing capacity with the Alberta refinery and its access to attractive energy sources was a masterful move and has generated important benefits for Cuba and for Sherritt. Cuba has acquired a market for its nickel concentrate. It acquired access to improved production technologies relative to its older 1950s-vintage US technology and its 1960s-vintage Soviet technology which has generated improvements in productivity, energy efficiency, environmental impacts, and health and safety. The Government of Cuba is now the joint owner of a vertically integrated nickel operation, from extraction through to refining and international marketing. Cuba also has obtained new technologies and managerial skills for oil and gas extraction and utilization, as well as electricity generation. 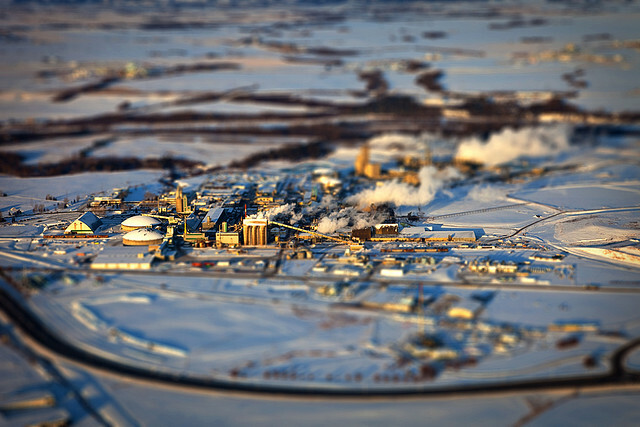 The Nickel Refinery at Fort Saskatchewan Alberta, jointly owned 50/50 by Sherritt International and the Compania General de Niquel of Cuba. Sherritt is able to utilize more fully its Canadian refinery and to use its base in nickel to enter other sectors in Cuba. Its earnings from its Cuban operations are significant. The joint venture has been able to increase metal production and achieve high net operating earnings, which have been in the area of 40 to 50 percent of the company’s gross revenues for most years, depending on international nickel prices. The following Table presents some information on Sherritt’s Cuban operations, drawn from its Annual Reports. Sherritt International’s petroleum and natural gas activities also have been successful. New sources of oil and gas have been discovered and extraction rates have increased through enhanced recovery techniques from 1996 to 2000. Natural gas recovery and utilization has also been improved through the construction of two processing plants, a feeder pipeline network, and a 30 Kilometer pipeline to Havana (Sherritt International, Annual Report, 1997, 13). Sherritt invested CDN $215 million for the construction of two integrated gas processing and electrical generation systems. The natural gas feedstock previously had been flared and wasted. Commissioned in mid-2002, these operations had a combined capacity of 226 megawatts and generated a significant proportion of Cuba’s electricity. At the same time they reduced sulfur emissions, a potential problem especially at the Varadero site, which is adjacent to the hotel zone. By 2007, installed electricity generation capacity had been further increased to 375 mega watts, following an 85 MW expansion that came on stream in early 2006. In February 1998, Sherritt acquired a 37.5 percent share of Cubacel, the cellular telephone operator in Cuba for $US 38 million, but this has been resold. “Sherritt Green,” a small agricultural branch of the company, entered market gardening, cultivating a variety of vegetables for the tourist market. Sherritt also acquired a 25 percent share of the Las Americas Hotel and golf course in Varadero and a 12.5 percent share of the Melia Habana Hotel, both of which were managed by the Sol Melia enterprise but these also have been divested. By 2010, Sherritt’s Cuban operations were large and growing. Gross revenues reached CDN $1,040 million in 2008. However, there are two clouds on the horizon. First, Cuban nickel concentrate is transported by ship to the East coast of Canada and then overland to the Alberta refinery. This seems to make sense economically at this time low energy prices in Alberta and the existence of the refinery there compensate for high transportation costs. However, if – or when –transportation costs rise with higher energy prices, and when the existing plant becomes obsolete or simply reaches the end of its useful life, would a different location become more attractive? Low cost energy is also available in Venezuela for example. The Chvez factor is also of relevance. Will a future Cuban post-Raul Government still be enamored of a Chvez or post-Chvez Government in Venezuela? What will be the relative risks of relocating the refinery to another location such as Venezuela? So far, Cuba is tied to the Canadian location through its 50% joint ownership of the Alberta refinery. Would Sherritt ever accept a transfer of the refinery to Venezuela, if pushed by its Cuban partner? Perhaps in a more distant future that is difficult to foresee. However, Alberta will continue to have competitive energy prices and low risk for a many years to come. IV. “Helms-Burton” Status of the Mine Properties. The second possible problem for Sherritt is that the Moa mine and the concentration plant are “Helms-Burton” properties for which there are US claimants. US-Cuba normalization may require Sherritt to negotiate some sort of compensation package for the original US owners. In one scenario, the US claimants would simply take over the Cuba-Sherritt operation in Cuba. But this would not be reasonable because at this time, the refinery for Cuban nickel is in Alberta and it is jointly owned by Cuba. To construct another would be costly. My guess, however, is that Sherritt, the Government of Cuba and the US claimants will negotiate an arrangement that will be reasonable for all parties. In any case, the claim of US interests on the mine property generates uncertainties and will be problematic at some time in the future. Sherritt International may well be one of the very few economic interests that perhaps could lose from US-Cuban economic and diplomatic normalization. Thus, while the near-future looks as bright for Sherritt International in Cuba as the last 10 years or so, these three issues raise ambiguities about its medium and longer term future – at least in the nickel sector.